Debutant director Bhuvan Nullan's 'Mo' is one of the few horror-comedy flicks of the year that has been packed with a good share of comedy that works out well to make it a 'harmless fun flick'. Dev (Suresh Ravi), Sathish (Ramesh Thilak) and Kumar (Darbuka Siva) are fraudsters who con people for money. They device a new idea of using the fear of people for ghosts. A makeup artist Joseph Chellappa (Ramdoss) and junior artist Priya (Aishwarya Rajesh) join themg as partners to create a fake female spirit for money. 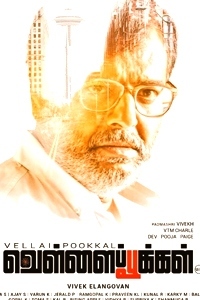 Vetrivel (Selva) a Real Estate big shot catches them red handed and threatens to put them behind the bars for cheating people. But he offers to leave them if they accept for a deal. They should to go to Pondicherry and chase away Vetrivel's competitor Senthilnathan (Mime Gopi) from buying a dilapidated school building, by making him believe that the place is possessed by a ghost. The gang goes to Pondy and starts working on the assignment and get some unexpected experiences. To know what happens to them at the end, watch the film in screens. Few minutes into the film, you can easily guess that the sole intention of the makers is to provide fun and make us laugh. The intention gets fulfilled adequately thanks to situations in the script and the presence of a lot of talented comedy artists who give their best for the film. 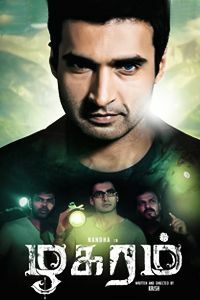 The main theme of the film is 'Reel ghost v/s Real ghost' which we have earlier seen in films like 'Dhillukku Dhuttu'. But in this film the 'Reel ghost' episodes take a large share. Though we know very well that the 'Real ghost is going to appear at some point of time in the film, the sequences leading us to the same keep us engaged to a good extent mainly due to the fun and comedy part. The script writer Bhuvan has to be complimented for not deviating his focus from the main story The film is completely devoid of a love angle despite the presence of a leading heroine like Aishwarya Rajesh and the film is also clean without a semblance of glamour and sleaze. There is only one song in the film and that is also cleverly used to convey the background of the lead characters. Despite being a minimum budget film. 'Mo' carries rich production values and this makes it stand out of many films coming under this genre. On the downside the film is lengthier in the second half.The climax though intended at making fun does not work out mainly because it comes after creating a huge build up. Also one cannot help feeling that the writer-director could have utilised the potential for providing some surprises and twists in the script. May be they deliberately avoided such things. Ramesh Thilak. Darbuka Siva and Ramadoss carry the film on their shoulders. They succeed in making us laugh with their dialogue delivery, expressions and body language. Especially Ramadoss's antics in the second half brings the roof down at certain points. Suresh Ravi gets the relatively serious role among the lot and does a neat job. Yogi Babu provides some silly laughable jokes in a few scenes before and after the interval. Mime Gopi and Super Good Subbu who appear in minor supporting roles also provide laughter moments in a particular sequence in second half. Selva is adequate for his role. Cinematographer Vishnu Shri.K has done a commendable job in a film that has too many night effect scenes in poorly lit or pitch dark places. Editor Gopinath could have cut short some repeated dialogues and shots in the second half to make it crisper. Art direction by Balasubrahmaniyam deserves credit. 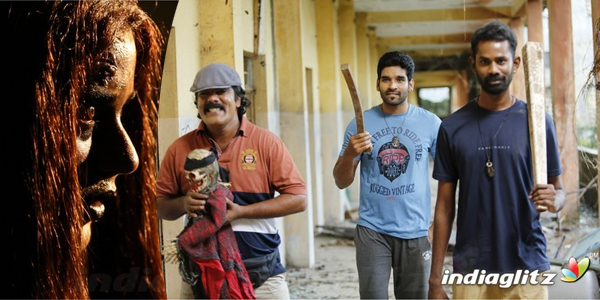 Verdict: 'Mo' is a harmless fun flick under Horror-Comedy genre that provides adequate comedy and little horror. Go without expectations to have some hearty laughs.